A personal story told in images that are incredibly profound. Radtke is asking the reader/viewer to consider who we are; what is our place and where is our place on this planet. And so much more. When Kristen Radtke was in college, the sudden death of a beloved uncle and the sight of an abandoned mining town after his funeral marked the beginning moments of a lifelong fascination with ruins and with people and places left behind. Over time, this fascination deepened until it triggered a journey around the world in search of ruined places. 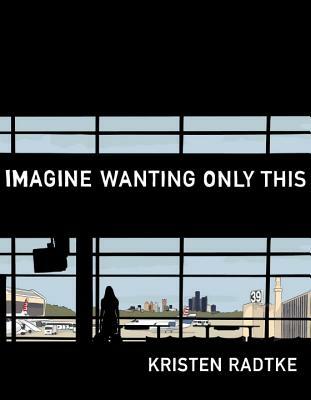 Now, in this genre-smashing graphic memoir, she leads us through deserted cities in the American Midwest, an Icelandic town buried in volcanic ash, islands in the Philippines, New York City, and the delicate passageways of the human heart. Along the way, we learn about her family and a rare genetic heart disease that has been passed down through generations, and revisit tragic events in America’s past. A narrative that is at once narrative and factual, historical and personal, Radtke’s stunning illustrations and piercing text never shy away from the big questions: Why are we here, and what will we leave behind? KRISTEN RADTKE is the managing editor of Sarabande Books and the film and video editor of TriQuarterly magazine. She lives in New York.